Now mainly for use in digital SLR cameras, compact flash or 'CF Cards' offer high capacities and fast data transfer. 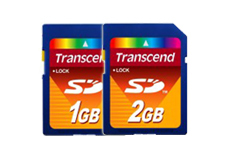 The term SD Card covers all types and capacities of Secure Digital Cards, however 'SD Cards' are now only available in 1GB & 2GB. 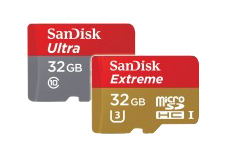 SD Cards with capacities of 4GB up to 32GB are known as Secure Digital High Capacity Memory Cards or 'SDHC cards' for short. 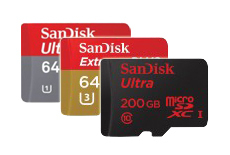 Capacities of Micro Secure Digital eXtended Capacity Memory or 'Micro SDXC' start at 64GB and are a must for the latest smartphone. 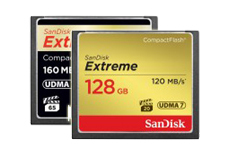 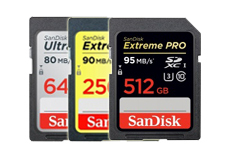 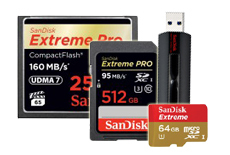 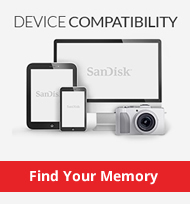 SanDisk Extreme high speed range of flash memory products includes, Micro SD, CF Cards, SDHC, SDXC Cards and USB pens. 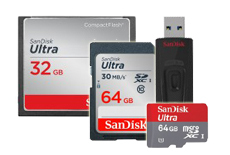 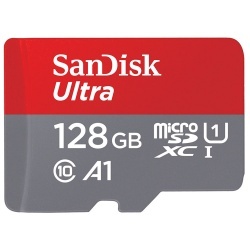 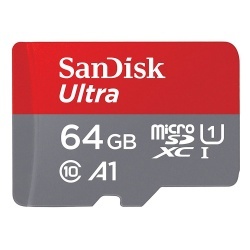 The SanDisk Ultra speed range of flash memory products includes, Micro SD, Compact Flash, SDHC, SDXC and USB sticks. 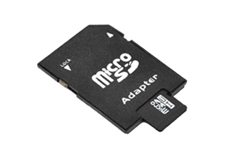 Transfer data from your Micro SD card via this SD Card (size) Adapter using an integrated or stand alone card reader in your PC / tablet.